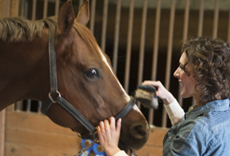 South Shore Animal Hospital is a full-service veterinary medical facility, located in Wellington, FL. Dr. Forbes and the staff of South Shore Animal Hospital invite you to visit us at our new state of the art hospital. We offer paperless medical records as well as digital radiology and are committed to promoting responsible pet ownership, preventative health care and health-related educational opportunities for our clients. 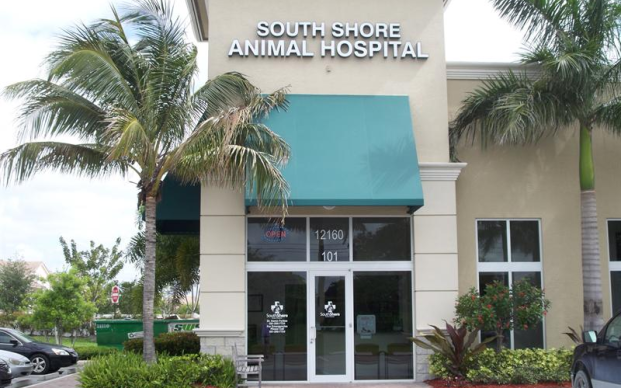 South Shore Animal Hospital strives to offer excellence in veterinary care to Wellington, FL and surrounding areas. Please take a moment to contact us today, to learn more about our veterinary practice and to find out more information about how South Shore Animal Hospital can serve the needs of you and your cherished pet. Office Manager / Head Technician- Lynsey's dogs. Blu sitting in the Doll House at Doggie Day Camp. There are two means of refuge for the miseries of life: chemistry and cats. I am a schnauzer mix and love to play all day. Dr. Karen: I just wanted to give you a Big Hug and hope you are feeling much better from your surgery. And have a Happy New Year. Love you, Mr. Lucky. I love you Doctor Karen. After a hard day at play.